This research paper addresses the question what legal forms overcome the specific challenges of a Social Enterprise the most? The research design is organized in an empirical manner and analyses five specific legal frameworks worldwide according to nine criteria that were developed corresponding the latest research and literature. The findings show on the one hand the difficulty that arises for social entrepreneurs as well as for lawmaking entities in finding solutions how to deal with the dual mission dilemma. 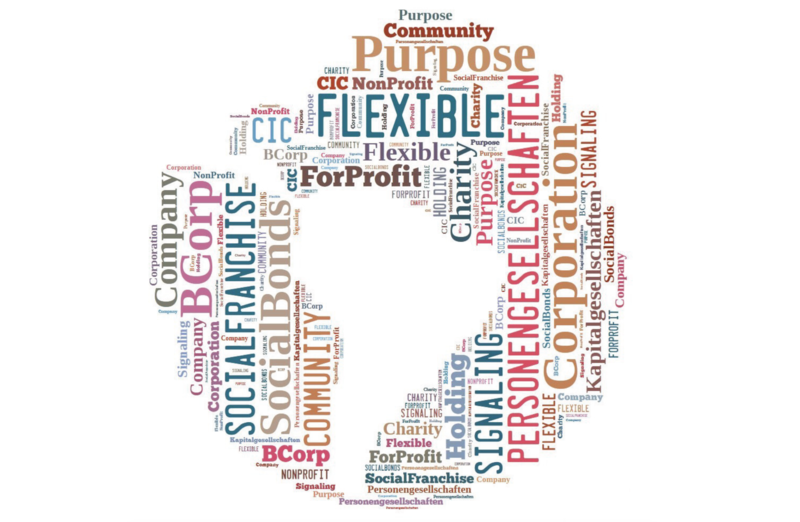 On the other hand the research observes how some innovative frameworks like the Community Interest Company (CIC), tandem structures and B Corporation certification provide good starting points for social entrepreneurs and are thus suited for such enterprises.